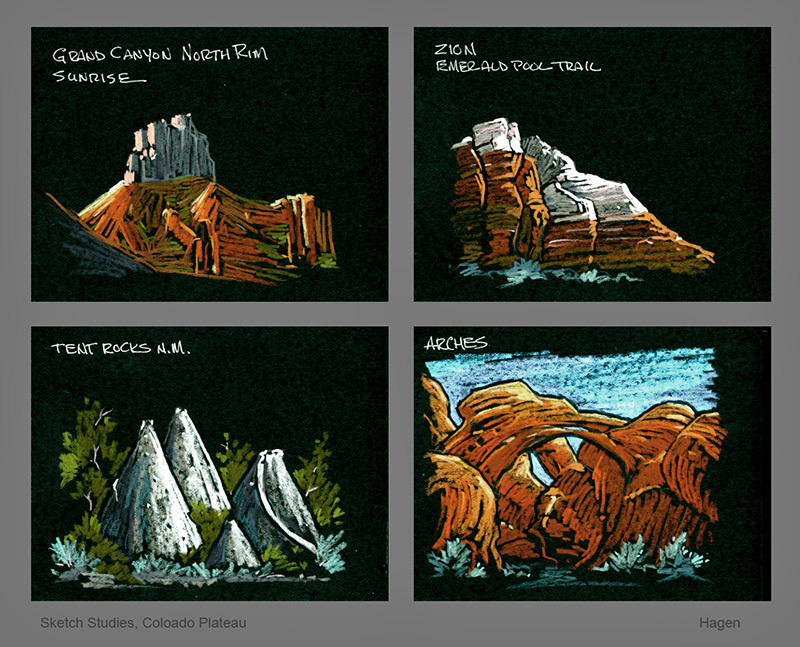 These are a few of dozens of pencil sketches done in the field. Not only do I find these good reference for painting landscapes of other planets, I value them on their own as moments frozen for me that I can re-visit to sharpen my memories of places and events. I love the exposed geology of the American southwest. Processes are so clearly evident. Nothing can hide.